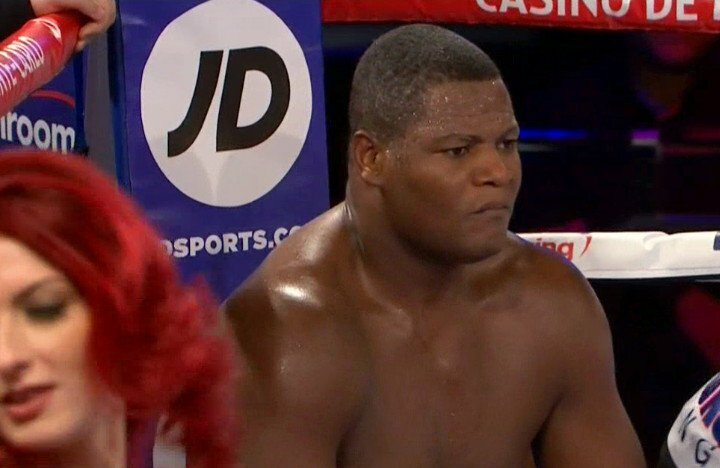 Unbeaten highly ranked heavyweight contender Luis Ortiz (26-0, 22 KOs) did what he had to do in defeating Malik Scott *38-3-1, 13 KOs) by a 12 round unanimous decision on Saturday night to stay unbeaten in their clash at the Salle des Étoiles in Monte Carlo, Monaco. This was supposed to have been a showcase fight for the 37-year-old Ortiz, but Scott had other ideas. He chose to stall out the fight by running around the ring, taunting Ortiz and not engaging. The results of the contest was diaster with angry boxing fans at ringside booing the lack of action. Ortiz couldn’t be blamed for it though. He was trying his best to get to Scott, but the American was totally reluctant to fight him. The final scores were 120-105, 120-106, 119-106. WBA super featherweight champion Jason Sosa (20-1-4, 15 KOs) wore down former world title challenger Stephen Smith (24-3, 14 KOs) in defeating him by a 12 round unanimous decision in the co-feature. Smith got off to a terrible start in getting knocked down in the 2nd round after Sosa stepped on his foot while punching him. Smith appeared to get his act together in coming back from the knockdown, but he had problems with the attacking flurries from the hard hitting Sosa. Smith held his own in almost every round, Sosa was able to steal many of the rounds with his attacks. This was an exciting fight from start to finish, and unquestionably the best fight on the card. Smith made Sosa fight hard to get the win. If the referee hadn’t blown the call in the 2nd round, Smith might have had a chance of scoring an upset down the stretch, because he looked like the better fighter in the 2nd half of the contest. Smith hurt Sosa with a flurry of heavy shots late in the 9th round. It was impressive stuff from Smith. If he had more time left in the round, he might have been able to KO Smith, because he was clearly hurt. The judges scored the fight 116-111, 117-110, 116-112. In the worst scored fight on the card, WBA bantamweight champion Jamie McDonnell (29-2-1, 13 KOs) defeated talented challenger Liborio Solis (25-5-1, 11 KOs) by a 12 round unanimous decision. The judges shocked a lot of boxing fans with their scoring of the fight, as Solis appeared to win the fight going away. He beat McDonnell to the punch all night long, and worked him over on the ropes in many of the rounds. The scoring for the fight was as follows: 116-112, 115-113 and 117-111. There’s nothing you can really say about the judges’ scores, as they appear to be so dreadfully poor that it makes one wonder whether the judges were confused about which fighter was Solis. This fight was a black-eye for the card in this writer’s opinion. Former four time world title challenger Martin Murray (34-4-1, 16 KOs) defeated the capable Nuhu Lawal (23-1, 13 KOs) by a 12 round unanimous decision in super middleweight action. Lawal moved up in weight from the middleweight division to replace the ill Dmitry Chudinov, who had pulled out of the card. Murray won the fight by the scores 116-111, 117-110 and 117-110. The victory gave the 34-year–old Murray the vacant WBA Continental super middleweight title. Murray is hoping to get another world title shot after failing four times previously. Murray did not look good tonight though. Murray’s promoters are going to need to be careful in who they match him against if they want him to get another world title shot, because he does not look good enough to beat a top contender like Callum Smith or George Groves.